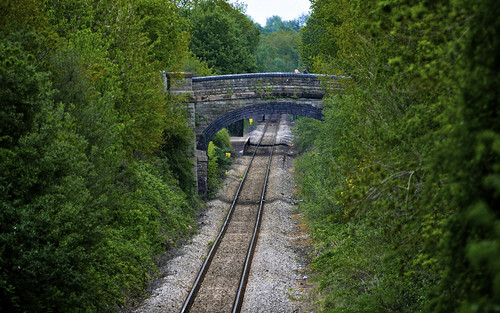 Posted by Stuart Herbert on August 19th, 2010 in A469, Cardiff, Cardiff Railway, Coal, Modern, Photos, Shoot. From a distance, Birchgrove Railway Station seems to be doing its level best to hide beneath the nearby bridge. 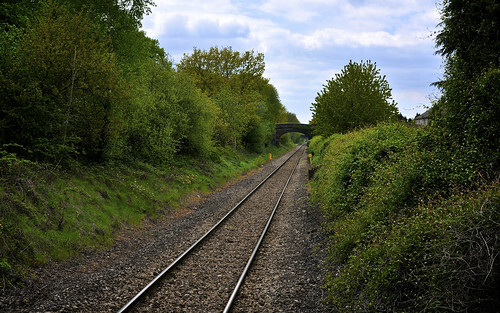 Looking west along the Coryton Line tracks back towards Rhiwbina Railway Station and beyond ultimately to Coryton Railway Station. Birchgrove Railway Station, looking east along the platform. Note that Birchgrove hasn’t yet been the recipient of a shiny new shelter. 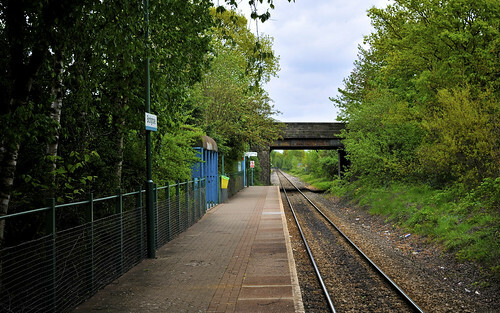 Birchgrove Railway Station is nestled right up against the A469, which carries traffic between Cardiff and Caerphilly. 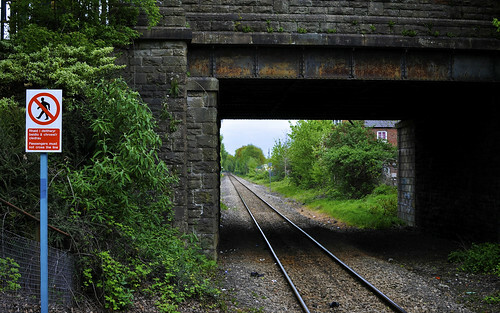 This photo looks east along the tracks towards Ty Glas Railway Station. 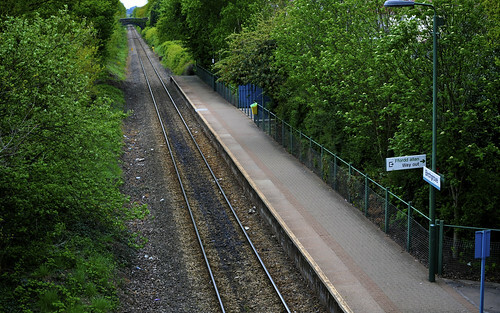 Looking down from the A469 onto Birchgrove Railway Station platform. 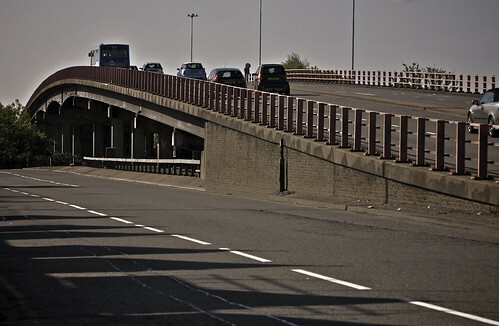 Posted by Stuart Herbert on July 23rd, 2010 in A469, A470 Trunk Road, A48, Cardiff, Modern, Photos, Shoot. The Gabalfa Roundabout and Flyover marks the coming together of three of Cardiff’s most important road arteries: the A470 down from Merthyr Tydfil and junction 32 of the M4 motorway, the A469 down from Llanishen and Caerphilly, the A48 Western Avenue from Llandaff and Canton, and the A48 Eastern Avenue out to junction 29 of the M4. The roundabout and flyover were built during the late 1960’s and early 1970’s, around the same time as the A470 trunk road up to Merthyr Tydfil, and the Heath Hospital that is adjacent to the roundabout. For many drivers, travelling south into Cardiff from Caerphilly, Merthyr Tydfil, or just from Junction 32 of the M4 motorway, this is their main view of the Gabalfa roundabout: the flyover that takes you over the A48 and down towards Maindy and Cathays. 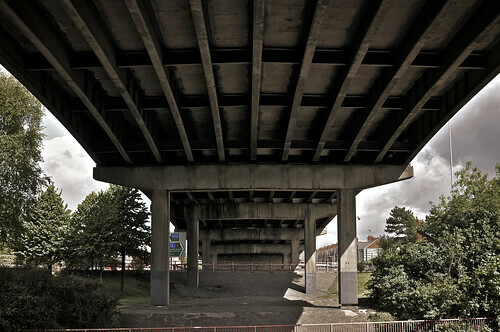 Beside the flyover runs this sliproad that drivers use to go down to the Gabalfa roundabout. From here, you can go east onto the A48 and/or into the Heath Hospital, west onto the A48 Western Avenue towards the large Tescos and the turnings to Llandaff and Canton, or south down towards what eventually becomes City Road. 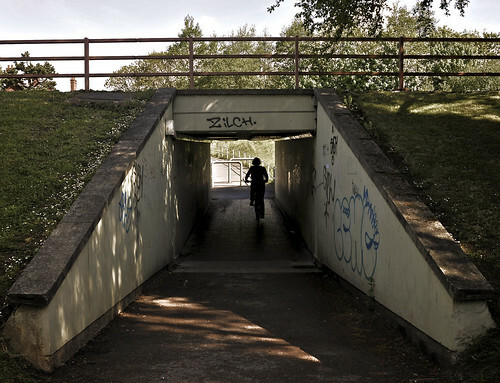 Because the A470 intersects north / south, and the A48 intersects east / west at the Gabalfa roundabout, there are pedestrian walkways across the roundabout, reached by subways like this one. This shot shows the sliproad down to Gabalfa roundabout from the foot of the A469. It’s normally a little busier than this, but in recent months traffic around this area (and on the A470 into Cardiff) has seemed lighter to me, perhaps due to the very high price of petrol at this time. 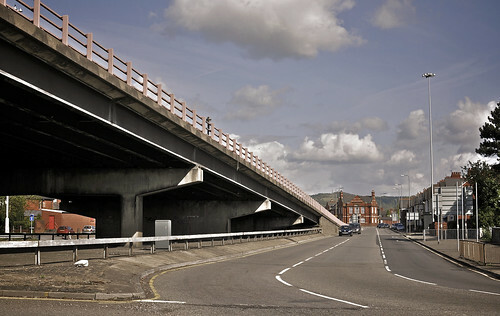 The flyover at Gabalfa roundabout carries the A470 over the A48. It also carries the road over the pedestrian route across the roundabout too! The flyover at Gabalfa roundabout carries the A470 over this road, the A48. The A48 runs from junction 29 of the M4 in the east out to Culverhouse Cross in the west, making it one of the major arteries of Cardiff. It’s normally a little busier than is shown here. 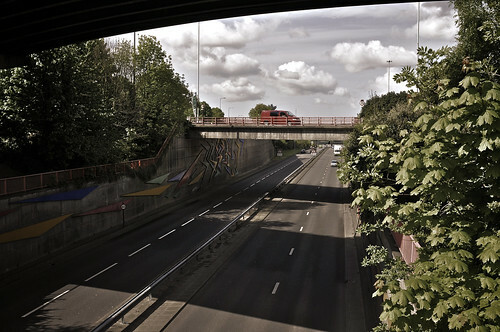 Posted by Stuart Herbert on July 21st, 2010 in A469, A470 Trunk Road, A48, Cardiff, Modern, Photos, Shoot. This unusual building stands on the roundabout formed where the A470 down from Merthyr meets the A469 down from Caerphilly. It’s currently a Weatherspoon pub called the Aneurin Bevan after the founder of the National Health Service, but it is a site that frequently changes hands. 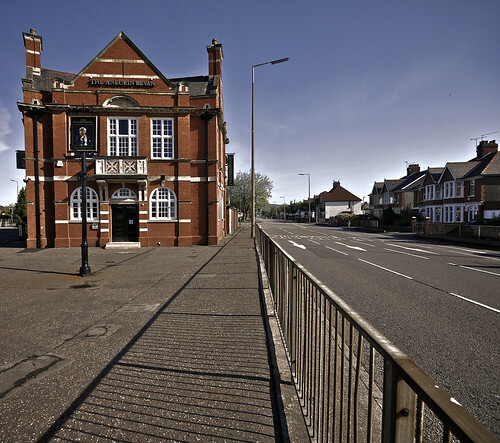 I’ve been unable to track down online anything about the older history of this site, and especially whether this building pre-dates the construction of the Gabalfa roundabout or not. If you know, please do let me know.